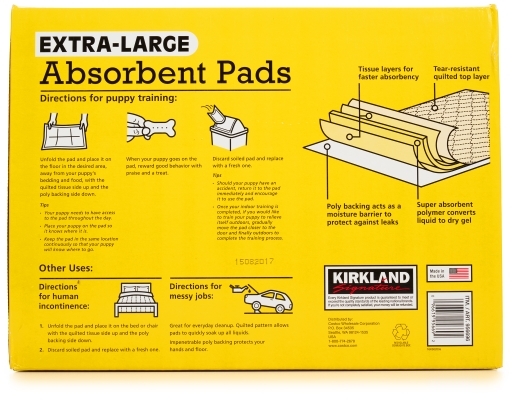 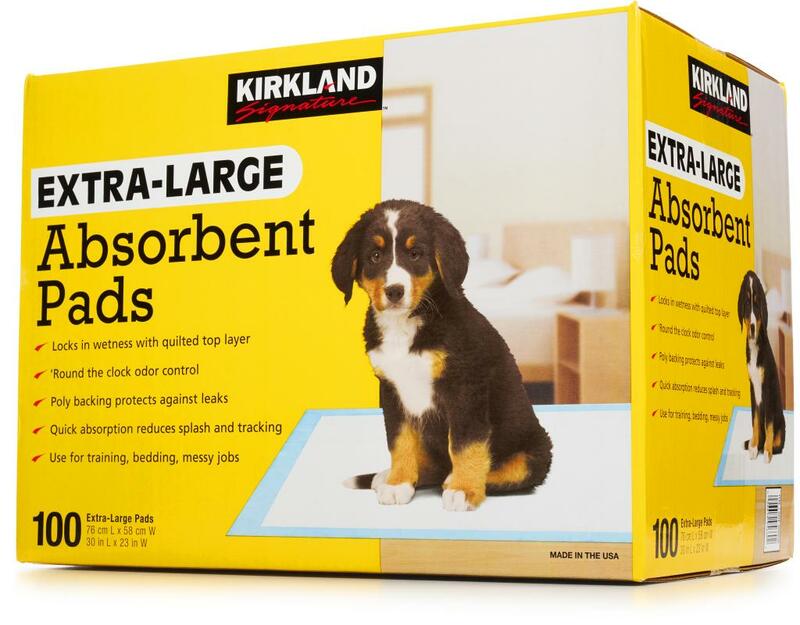 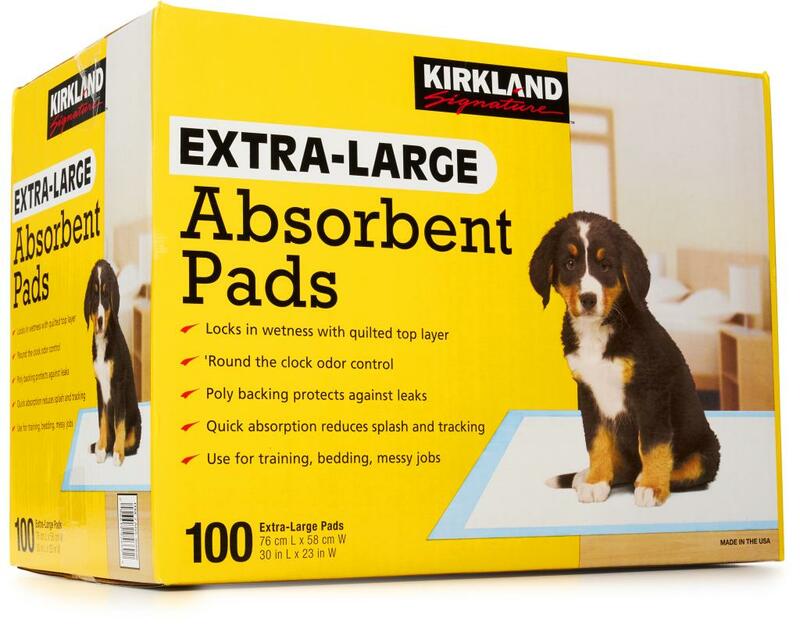 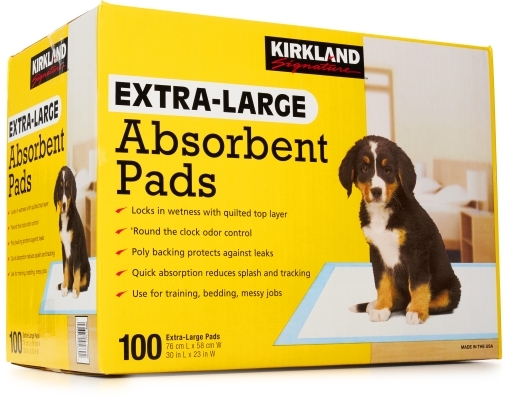 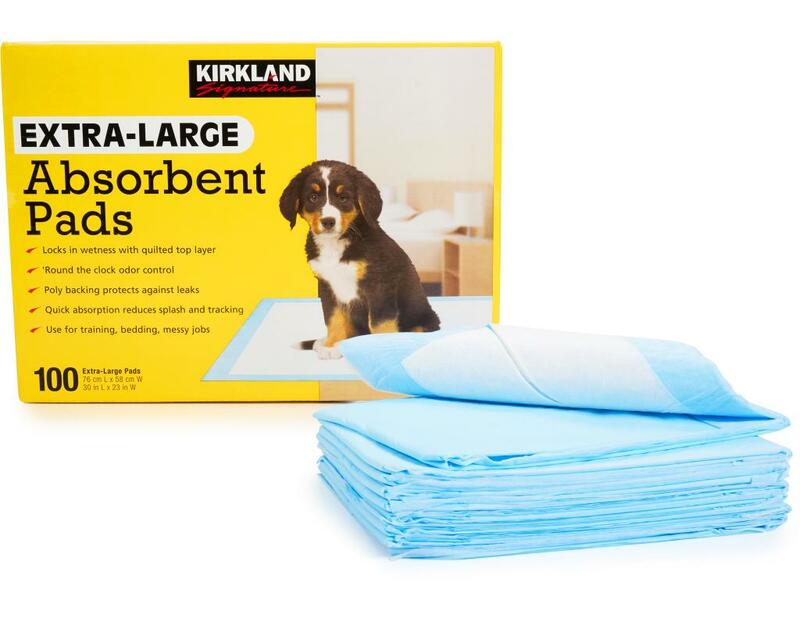 Kirkland Signature Extra-Large Absorbent Pads lock in wetness with a quilted top layer for around the clock odor control. 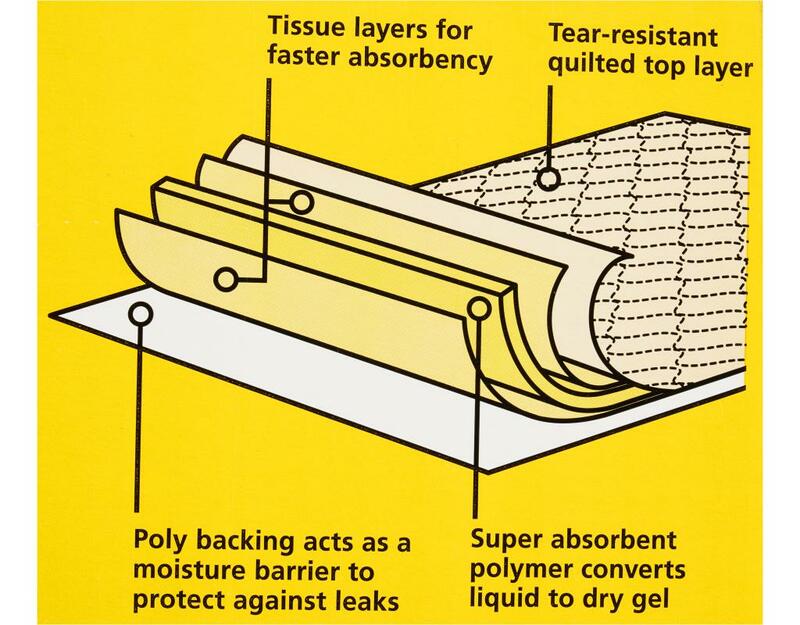 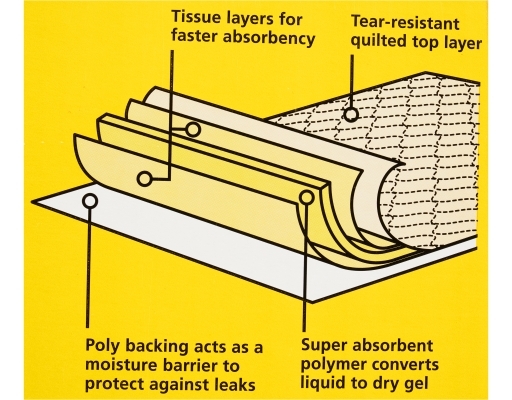 The poly backing protects against leaks, and the quick absorption reduces splash and tracking. 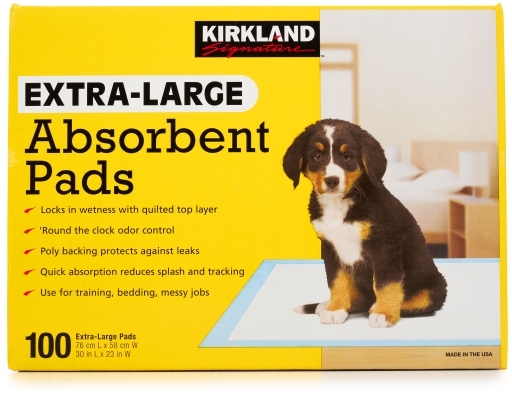 Use for training, bedding and messy jobs.